As I was sitting at my desk this morning, warm cup of coffee firmly in hand and glancing out of the window at the droplets on the glass, I couldn’t help but think of how lucky I am that the weather can actually aid my job rather than hinder it. My last blog post was also about the conditions outside, but it’s evident to me that even shooting in the rain can be fun! I pride myself on creating memorable experiences for families when they have their portraits done, and sometimes the adverse weather conditions make the activity even better! Whether it be snow or rain, the lighting that comes with this time of year and its weather creates the most beautiful photographs, and in Suffolk we have some of the most wonderful landscapes that make photography a dream! 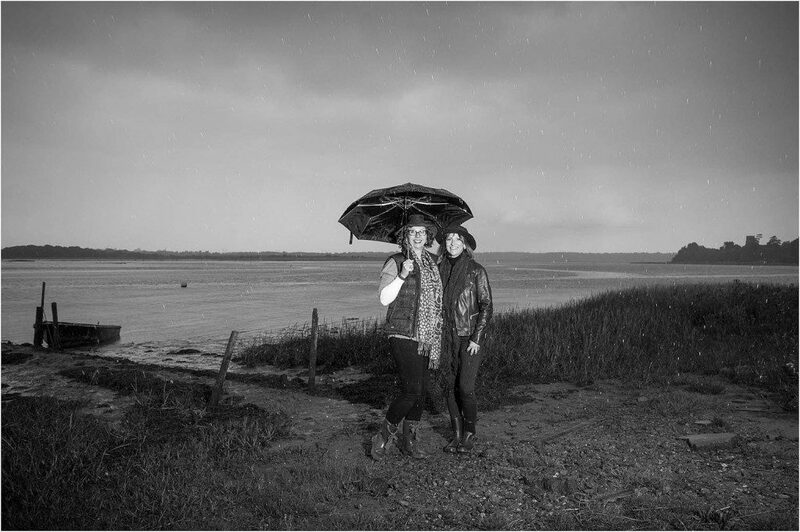 The dramatic coastline at Dunwich or Thorpeness can be a brilliant locations for family portrait shoots, and even when it’s raining the images we capture with groups never cease to put a smile on our clients’ faces! In the lead up to Christmas it can be hard to find the time (or motivation) to leave the house for anything, let alone a photoshoot with the extended family, but with me at Tony Pick Photography your images are guaranteed to brighten up any rainy day. That being said, as much as I love using the Suffolk landscape to my advantage, sometimes there’s no better feeling than inviting someone into your home to photograph those special moments, which is why I am always open to clients’ location suggestions! If you’re unsure of what someone may be comfortable with but want to gift them a special experience this Christmas, why not present them with one of our gift vouchers to really surprise them (you can find these using the link above in the menu bar).